15 February, 2014-Project and Residential. 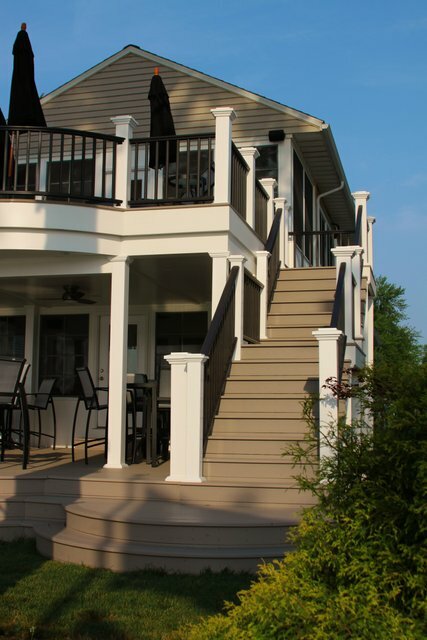 This two story wood framed deck addition to this newly renovated home on the Portage Lakes is nothing to laugh at. 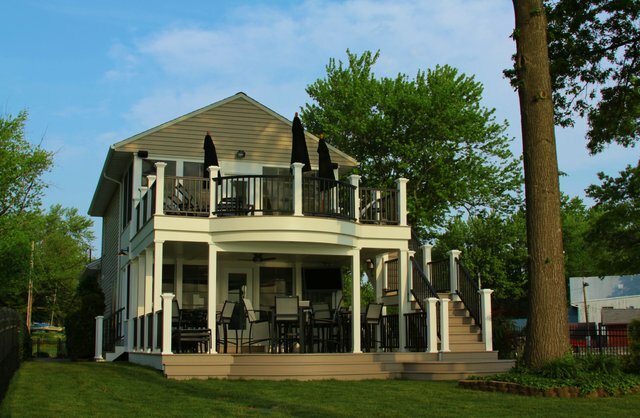 It perfectly blends access to a beautiful lake, well-manicured lawn, and the existing home for a wonderful addition to the lakeside property. On the second floor you’ll find places to lounge, enjoy a little entertainment, and gaze over the lake. Down the stairs to the first floor, you’ll find plenty of seating, a ceiling fan for the unbearable hot summer days, and a TV for added entertainment. With ample room on either floor, it won’t be hard finding a perfect spot to rest or have a good time. 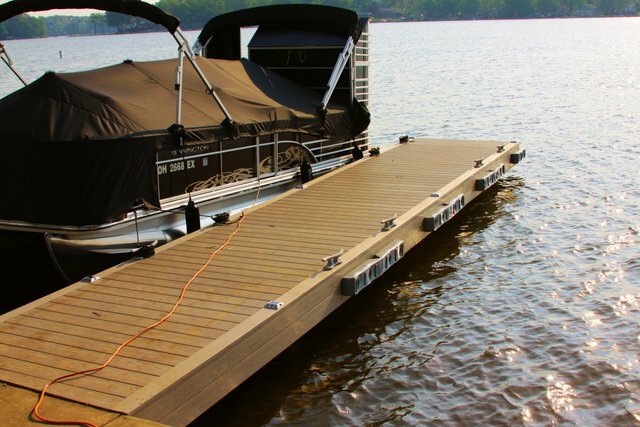 Don’t forget the new dock for a quick jump in the lake, a little swimming, or a quick ride in the pontoon. This project extensively used Azek PVC material for the finish product. 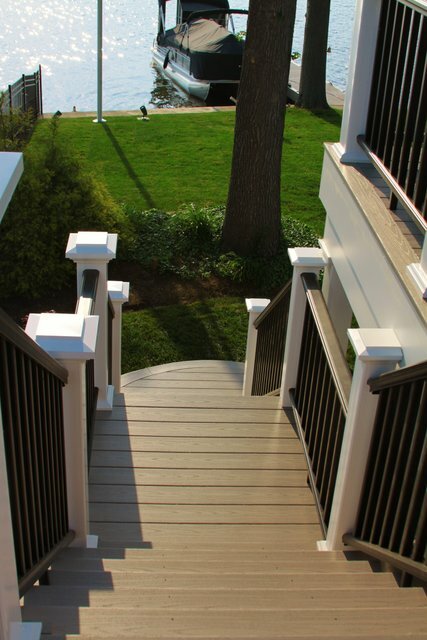 On the floors and dock, the use of PVC decking means it will last a long time and cleans up nicely with minimal upkeep. 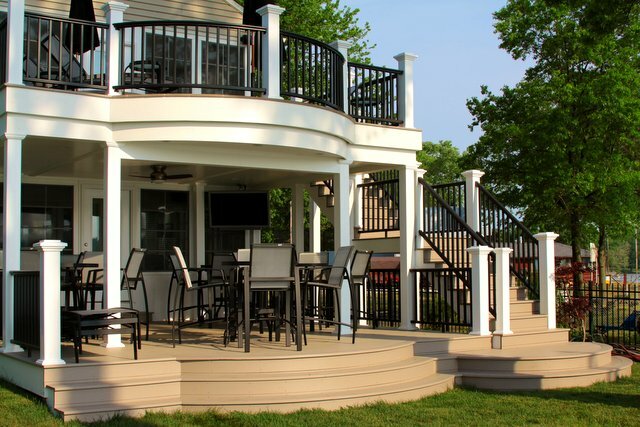 The pre-manufactured railings and post assist with construction detailing and come in a variety of designs and colors. 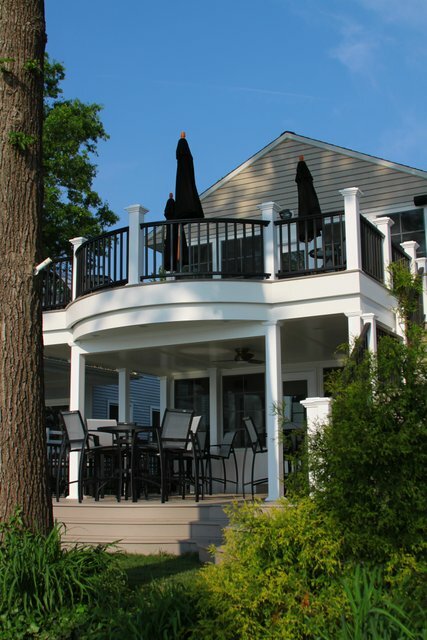 The endless amount of white trim and ceilings you see complete the look and seal the deck up for a nice clean, finish product.